(Licence # VFT/MA/04802) - This well appointed 3 bedroom town house is set in the hillside Juanar community garden & pool. 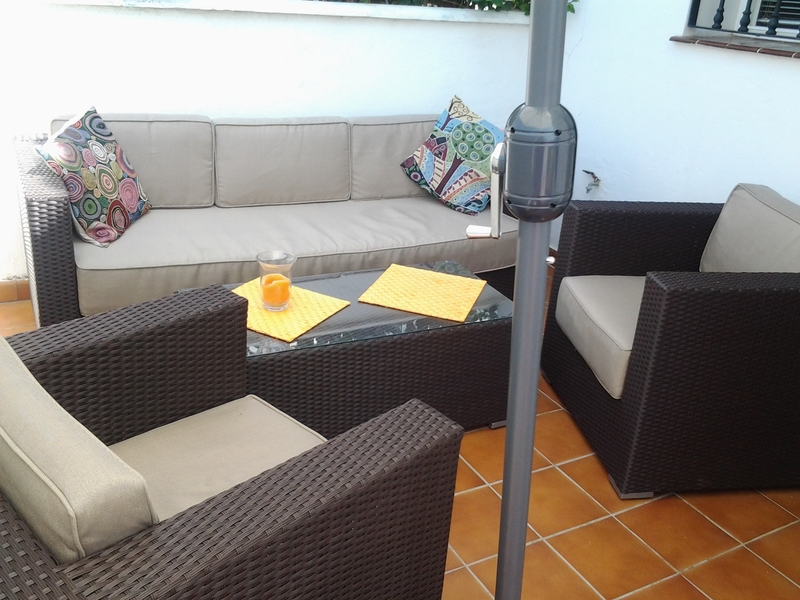 Roof terrace, BBQ area with sea views and the old fishing village of La Cala de Mijas is only 5 minutes walk away. The house has 3 good size double bedrooms and 2 en-suite bathrooms. The lounge dining area has an outside patio, ideal for alfresco dining. All local amenities are close walking distance to the village shops, supermarkets, bars, restaurants, hairdressers, banks, doctors, chemist, local Wednesday & Saturday market, buses & taxi rank. However, please note that Juanar is a 10 minute walk up the hill from the village. It is however a "shorter" walk down to the village! Merca Dona supermarket is very close.